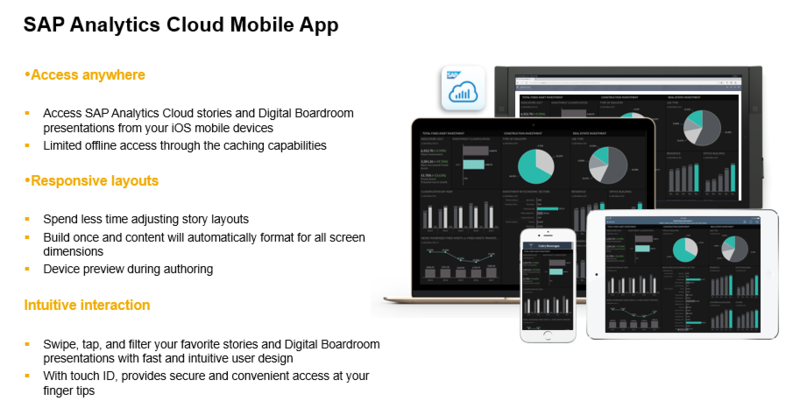 This council aims to influence the future roadmap of all the SAP Mobile Analytics applications – SAP Analytics Cloud Mobile, SAP BusinessObjects Mobile BI, SAP RoamBI. By providing feedback, identifying and discussing pain points, and brainstorming ideas to improve the applications. 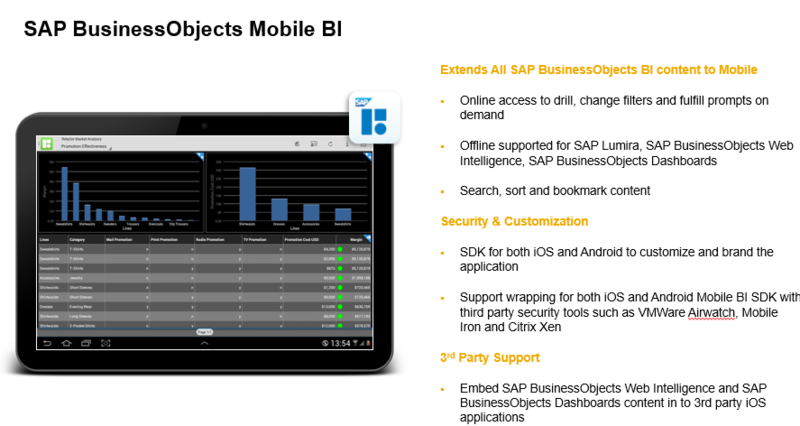 • Provide honest feedback not just on what you like and don’t like, but how to make the overall SAP Mobile Analytics better. • Influence the future: how do we make SAC Mobile, or RoamBI or MoBI better for IT and business users? 1. Ability to customize the application using a metadata-driven approach: In this approach, you can control the application’s visual features, behavior and functionality using the values of features specified in the .plist files in the Xcode project. 2. Ability to extend the application’s capabilities by writing code using the classes provided within the application SDK in Xcode environment. 3. 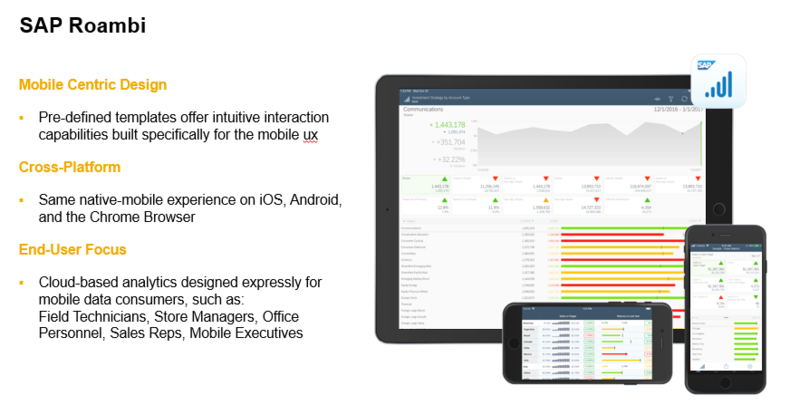 Ability to embed Web Intelligence reports and Dashboards in the mobile applications that you have developed. Every story can be made available on mobile using a responsive design while design time. 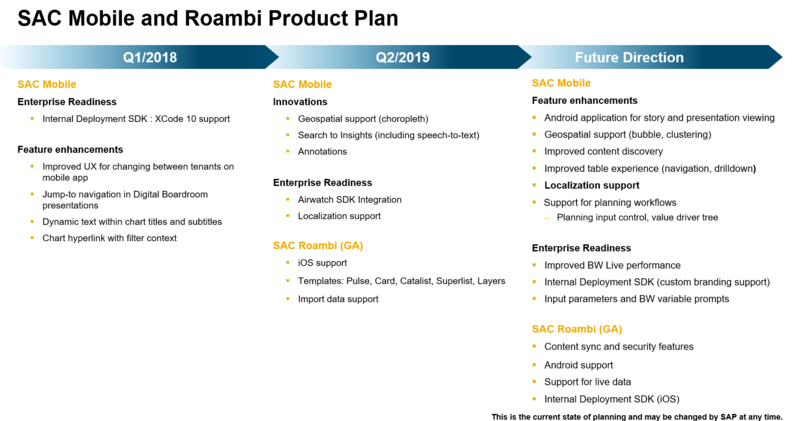 For Roambi users: possible to use SAC as model repository and consume data from SAC in a Roambi view using the roambi app. 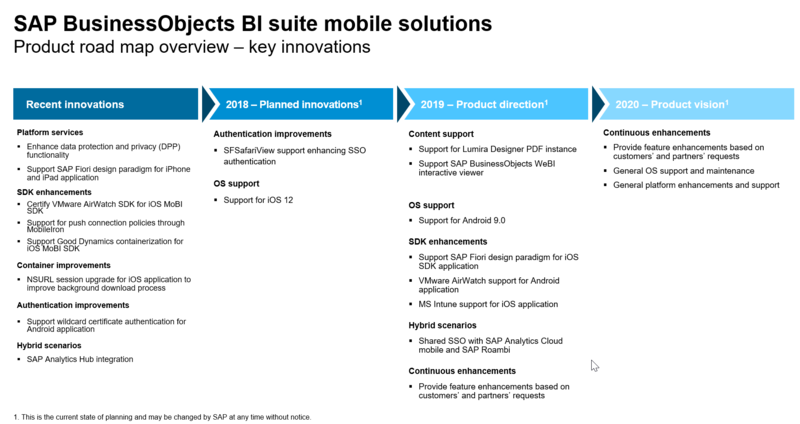 Q: Will SAC Mobile also support on premise BI Platform content? Prefer to avoid 2 apps. Q: Android support for Mobi was extremely frustrating. Why is Android support so far out? We have more Android devices than IOS.